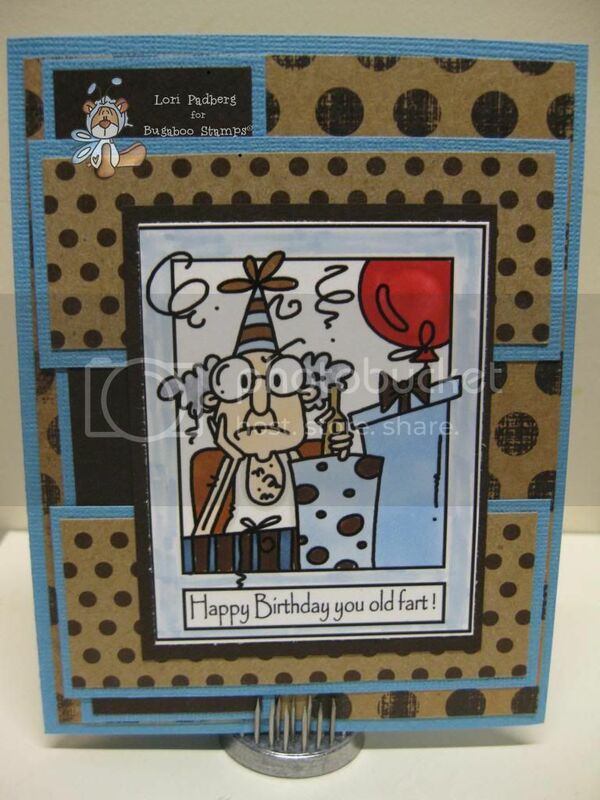 Today is Thursday and you know that means OLDIE BUT GOODIE day at Bugaboo stamps and since we're celebrating out 3rd birthday all week, we'd like your OBG card to be birthday themed and to add a little more challenge, make it a MASCULINE birthday card. I hope you'll play along today and all week long so you can be in the running for all the great prizes! If you haven't already done so, there is still time to complete the blog hop! Hope you're having fun with our celebration and thanks for supporting Bugaboo!